The video installation: "Tree of life" shows two projections on the back wall of the space and one small television screen. The television shows a big old tree in a natural setting. 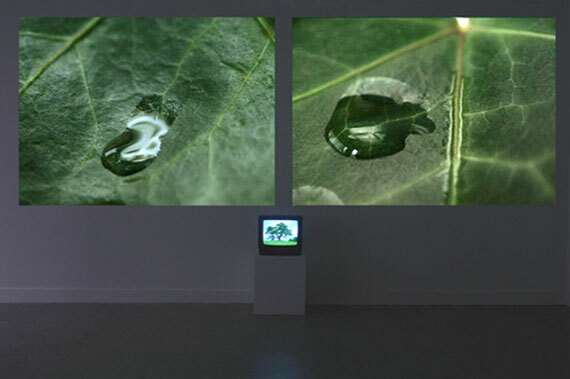 The two projections are zoomed onto the leaves so that water-drops become visible. In the left projection the face of a child can be seen, it looks at the spectator. The right projection shows several different leaves with different parts of human history. Starting-point of the work is the witness of the human history by a tree. Because of its long life it can follow the life cycle of many generations.